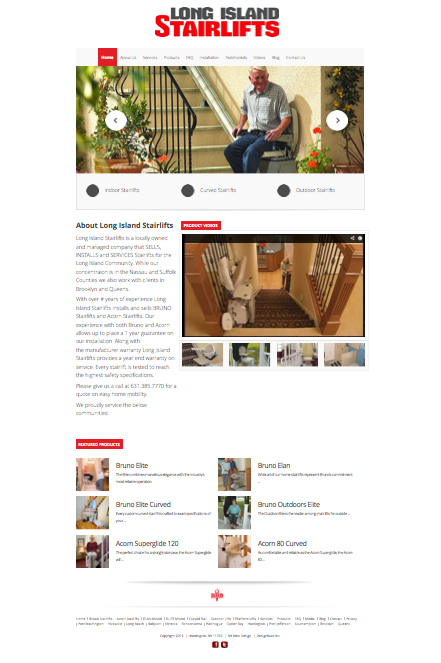 Design Burd Inc.Long Island Stairlifts | Design Burd Inc.
Long Island Stairlifts is a locally owned and managed company that SELLS, INSTALLS and SERVICES Stairlifts for the Long Island Community. While our concentraion is in the Nassau and Suffolk Counties we also work with clients in Brooklyn and Queens. With over # years of experience Long Island Stairlifts installs and sells BRUNO Stairlifts and Acorn Stairlifts. Our experience with both Bruno and Acorn allows up to place a 1 year guarantee on ourÂ installationÂ Along with theÂ manufacturerÂ warranty Long Island Stairlifts provides a year end warranty on service. Every stairlift is tested to reach the highest safety specifications.